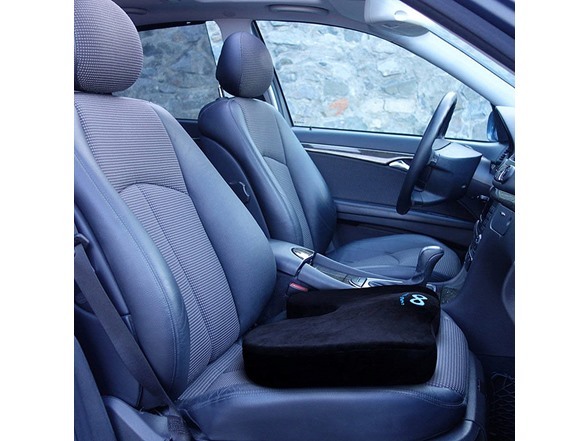 Relax in luxury with the Everlasting Comfort Seat Cushion. 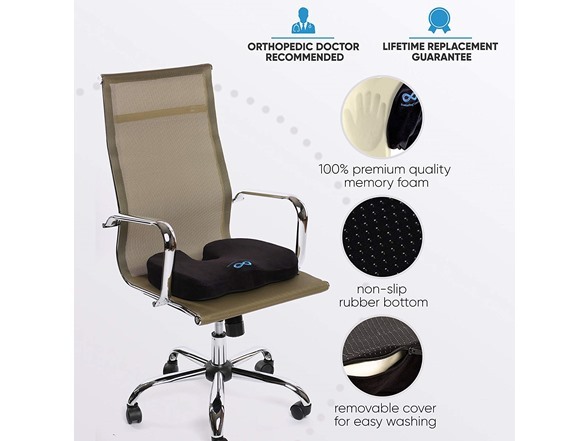 Its unique U-shaped ergonomic design is recommended most by orthopedists and doctors across the globe to improve chronic and acute pain, by alleviating pressure in strategic areas surrounding the sciatic nerve. 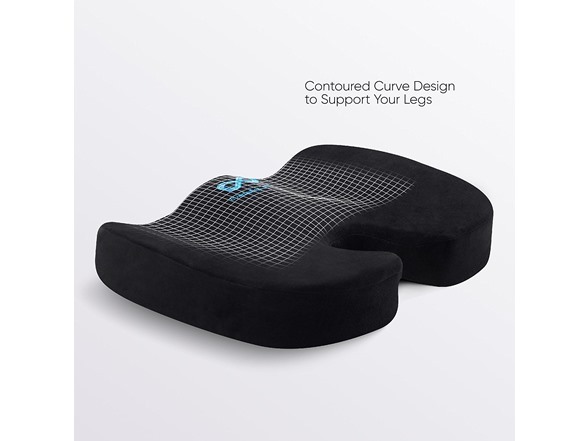 Using heat responsive technology our advance foam cushion molds perfectly to the shape of your bottom, providing ideal support, yet retains its shape after each use. A perfect solution for your office or kitchen chair, car, truck, airplane, wheelchair, computer desk chairs at home or at work, recliner, stadium seat & bleacher, and couch! 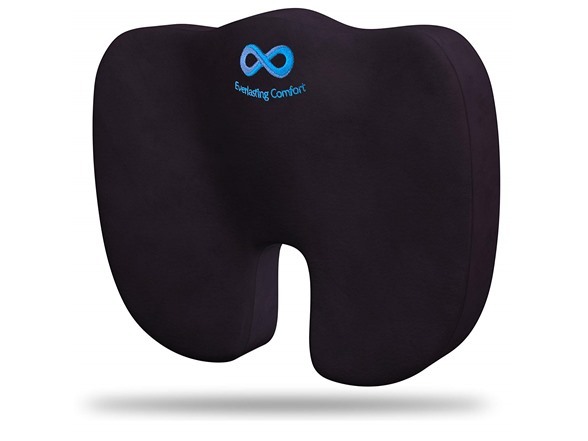 The thick foam padding compresses and cushions just enough to provide you with that Everlasting Comfort yet keeps its shape to support your tailbone, lower back, spine and hips from those severe pressure points.